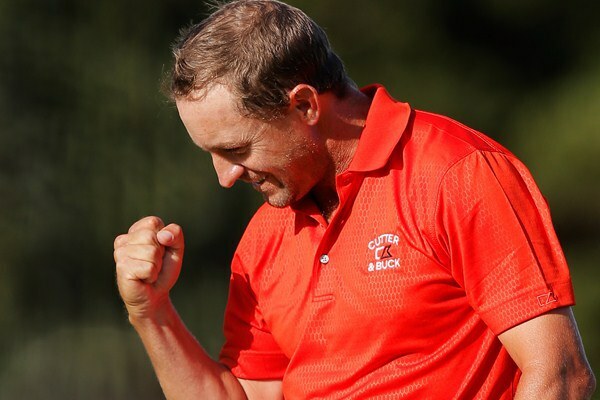 It was mixed emotions for us last week as we had Jason Day and a cheeky accumulator win but the big money bracket bet fell to pieces, with heroics from Graeme ‘Houdini’ McDowell and some VERY friendly play from Sergio Garcia. But it was thrilling viewing none the less. But moving on and we’re back to stroke play this week, on a very tough course. Last year saw Michael Thompson win and we can’t tell you how well he played in and around the greens. His putting and scrambling was a thing of beauty. And to win this week it’s going to take much of the same from someone else. The Champion Course at PGA National is a par 70 and will be playing 7,241 yards. It is a very major-esque track with lighting fast greens and tight fairways. The rough will be up and accuracy off the tee is going to be everything. But as we say the most vital thing this week will be scrambling and putting. Scoring will be tough out there, Thompson won in 2013 on -9 but 4th was -3 and 18th was level par. 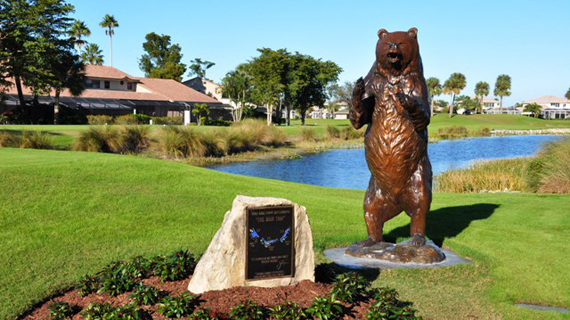 Holes 15, 16, 17 are also knows as the ‘Bear Trap’ and they are known as three of the hardest holes in world golf. Nicklaus, who designed it, said “it should all be won and lost here”. A lot of people have been saying “the season starts this week” with an incredible field assembled including Woods, Scott, McIlroy, Mickelson, Rose, Stenson, Zach Johnson and many more. With the Masters only a few weeks away and another WGC event next week, things are certainly heating up. This was also the scene of Rory McIlroy’s ‘toothache’ last year, so let’s hope he’s seen his dentist before Thursday’s tee off. If anyone watched the match play last week you will understand why we are going with McDowell. His scrambling, putting and resolve under pressure was like nothing we had ever seen. Three days in a row he overcame the odds to sneak into the next round. But as players who fit the course go, McDowell is perfect for this track. He loves plotting his way around tough courses, rarely misses a fairway and scrambles as good as anyone. He will take confidence from last week and he did record a top 10 at Pebble Beach a couple of weeks before, another tough track. So his game is in tip-top condition and also has three consecutive top 10’s in this tournament. He will be sure to contend this week. We’re not going to get carried away and keep backing the man from Japan but this week does look like one where he will contend. 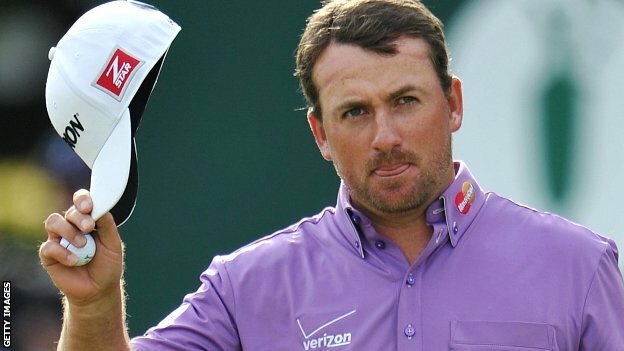 He convincingly beat Martin Kaymer last week and was in control against McDowell until he pulled out his box of tricks. So he will take confidence from the match play and was playing reasonably consistent before that, the best finish being a 4th at the Phoenix Open where Kevin Stadler won. He ranks 23rd in scrambling on the tour and 28th strokes gained-putting and loves the lower scoring, tougher events judging by his track record in the 2013 majors. He will get a win soon, it’s just a matter of when. This could be the week. We understand backing the champion is always a risk but we feel that Thompson is actually in better shape than when he won last year. As we mentioned in the preview, his short game was absolutely sensational in 2013 and he will certainly take confidence from how he won so convincingly last year. His form is consistent with a pair of T19s in his last 2 starts, but it is his statistics that really catch our eye. He ranks 6th driving accuracy, 26th strokes gained-putting, 9th scrambling, 1st scrambling from the rough and 14th in bounce back (perfect for those inevitable bogeys). His form and game is in way better shape than 2013 so there is no reason why he can’t at least grab a place. This is our one big risk for the week. Louis’ back flared up last week after an intense few days of golf at the match play. But it is something he has had to deal with recently and he is hoping to be back to 100% with a couple of days rest. Louis will only play if he feels like he can do well so betting-wise your money will be credited back anyway. IF he is fit then this course will be perfect for him, despite his poor performances here in the past. When Louis is playing well he will contend every week regardless of course. And we feel he is in that sort of form now. He retained his Volvo Golf Champions title in early January and after a missed cut at the Northern Trust he was ‘back’ with a bang at the match play. He beat Watney, Stenson and Simpson quite convincingly before his back flared up against Jason Day in the quarters. He also recorded 29 one putts in 47 holes in his first 3 rounds. His iron play and scrambling was outstanding and if he can take that into this week, he will without doubt contend. The Aussies love a tough track and Senden is no different. He is someone who consistently gets good prize money year on year without ever winning; only once has he won back in 2006. Of late his best performances were a T4 at the McGladrey Classic before the winter break and then he looked really solid in his T18 at the Northern Trust a couple of weeks ago. 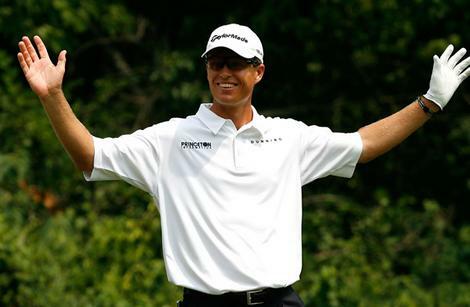 And he did catch our eye in last year’s US Open at Merion where he finished T15 on a VERY tough course. His statistics are also naughty, 9th strokes gained-putting, 14th all round ranking, 37th driving accuracy, 35th ball striking and 42nd scrambling. At those odds, definitely worth a go. 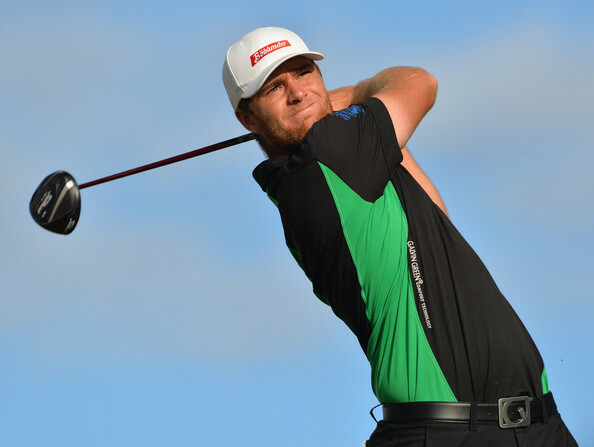 Chris Stroud (100/1 Various) is a player who is due a breakthrough win. He was 13th in 2013 and 9th in 2012 around this course, so he has what it takes. On his day, strikes the ball beautifully. And he is in relatively decent form. Lies 15th in scrambling for 2014. Brendon Todd (150/1 Various) His best performance of the season so far was T6 at the Humana Challenge and he is striking the ball well. Ranks 34th driving accuracy, 15th strokes gained-putting, 36th GIR, 10th all round ranking and 32nd scrambling. An interesting prospect. 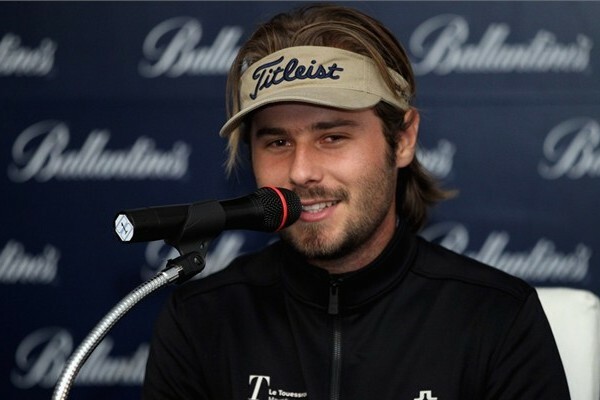 Victor Dubuisson flew the Tour’s flag with pride last week at the WGC Matchplay, getting all the way to the final before courageously losing to Jason Day and proving that some of the young talent outside America have bundles of potential for the future. Now, we resume European Tour duties in South Africa for the final time with the Tshwane Open at one of Ernie Els’ courses – Copperleaf Golf & Country Estate. The course is one of those that would scare the life out of most amateurs because it is one of the longest on tour – 7,964 yards. Yes 7,964 yards. It is an absolute monster with all 4 par 5’s over 600 yards and 3 par 4’s over 500. It’s not one for the faint hearted and you instantly think that the bombers will run free here and you can completely understand that reasoning. Especially when you factor in that the fairways are incredibly wide, with little protection to shanks and slices, in fact ranging from 20-60m before the rough begins either side. However the thicker cut can be torrid to escape from, with 90mm of rough expected. At the end of the day though, if you are finding this stuff, you have hit an APPALING drive, so you can still keep in mind the more erratic of drivers. There are 112 bunkers dotted around the track with eight lakes and a few undulations, still meaning that the ball strikers should prevail come Sunday. The greens have also read very slow (around 10 on the stimpmeter) so putting will not even be hugely difficult, making it generally a potential birdie fest if the weather holds. It does have the feel of a links course because of the Big Easy’s love of Scottish traditional seaside tracks, but there will be nowhere near as much heartache compared to those windy places north of the English border. The field assembled is obviously filled with South Africans, both from the Sunshine and European Tours. George Coetzee rightfully heads up the betting after his scintillating few weeks, but 13/2 is beyond criminal. We have looked long and hard at the sort of golfers who should do well here and we certainly believe there is value to be had. We did take a re-think once the odds came out for Darren Fichardt because low 20’s/teens is not the healthiest by any means, however there was just too much going for him not to put our money down. The South African has looked and played the part in recent weeks, running into some superb form – T10, T16, T13, MC, T5 and this sort of consistency will give him plenty of confidence coming into the final tournament in his home country. Two weeks ago at the Africa Open, he was incredibly unlucky to finish in 5th, just 2 shots behind winner Thomas Aiken and playoff loser Oliver Fisher because he genuinely looked like one of the closest challengers with 4 very good rounds. He was also hitting the ball a long, long way, which is generally something he is not known for, finding himself inside the top 10 for distance each day, whilst his putting on the final day showed his natural talent on the greens – 8th putts per round in 2014. If he can get his irons going, then there is no reason the local lad shouldn’t win here, because it is a course he has shown liking to – 2nd last year and he suits the pace of the greens. Don’t be put off by the odds, this guy is the real deal. The young Dane has been on our radar for a very long time now as regular readers will know. Firstly, hailing from the same course as Scandinavian legend Thomas Björn will hold most in good stead and his rise to the top of European golf has been dramatic but consistent. Admittedly, his form has wavered slightly since his first win a few months ago at the South Africa Open, but a T6 last week at a Sunshine Tour event gave us the green light to think he is back in the swing of it. Plus, this is a tournament where he finished T8 at last year, during his debut year on Tour and he is a different animal nowadays – more experienced and still bubbling with youthful exuberance and confidence. It certainly helps that he batters a ball himself – 27th in driving distance and is very good on the greens – 34th putts per round. He is one of those players that could upset the South African dominance of these home events and he does love going on a roll finding birdies, so it seems highly sensible to get involved. 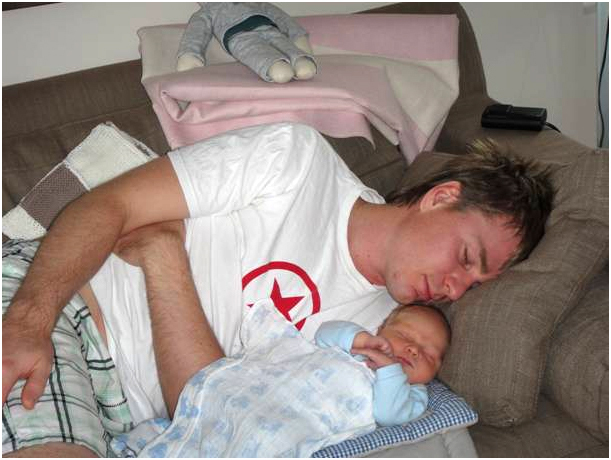 Another young Dane has found our list and he couldn’t suit this course more. He hits the ball an incredible distance (4th in driving distance) and his recent form is very encouraging considering he is still theoretically on the Challenge Tour. T9 at the Africa Open a couple of weeks back, where he regularly hit the ball over 300 yards and was inside the top 15 for putts per round every day, which is encouraging. With the fact he is also 59th for GIR during the season, you do realise that he could be the perfect fit for this monstrous course. He also played in a Sunshine Tour event last week, staying in Africa because of the tournament this week and he finished T2. In other words this lad is in fine fettle and could really upset the South African applecart. JBE Kruger is another local who has won on the European Tour (the 2012 Avantha Masters) and could definitely challenge the bigger names here. He hits the ball far (40th in driving distance), solid with his irons (41st GIR) and has been plugging away recently without really excelling. Three made cuts, all inside the top 31 show that he has been OK, but his fluidity has impressed us with his irons. He never left the top 10 for GIR at the Africa Open, but his putting did let him down. He will now be coming into a tournament where he finished T27 last year, but it is imperitave he gets his putter going. Our third South African may be lowest on this list but he is by no means a slouch in terms of our hope. He impressed everyone at the Joburg Open where he finished T2, he perhaps should have won, but his tee to green prowess made us think he could challenge once again here. He went on to finish inside the top 30 in his next two tournaments and that is still consistent form for someone who finished T16 on this track last year. He is another one who averages over 300 yards (45th driving distance) and his irons looked in good shape at the Africa Open, finishing inside the top 10 daily. Quick mention for these two outsiders because their odds and prospective abilities have made us drool at the lips. Bhullar has proven his capabilities on the European Tour with 3 top 10s in the past year and considering he hits the ball miles (29th driving distance and top of the same stat for 2 days at the Africa Open), never left the top 20 for GIR at the Africa Open and is an all-rounded golfer, 150s is certainly worth a punt. As for James Heath, his odds are probably warranted considering his recent form but this lad really hits the ball. He is 2nd for driving distance, averaging it 311 yards off the tee, which is absolutely ludicrous. When you consider he is 67th for GIR, you do realise that his putting is awful, but why wouldn’t you take a plunge at such astonishing odds?! This tournament in 2013 was without doubt the finest moment in DownThe18th’s history to date. We managed to pick 3 of the 4 semi-finalists (Kuchar, Mahan and Poulter) and not only did we have their single bets but we also had them in a lucky 15 which paid a very tidy sum of money. Not to mention the 8-fold day 2 match accumulator at 76/1 we had come in. All in all it was a great week. So a year later and the pressure is firmly on as it will be hard to replicate our previous success. 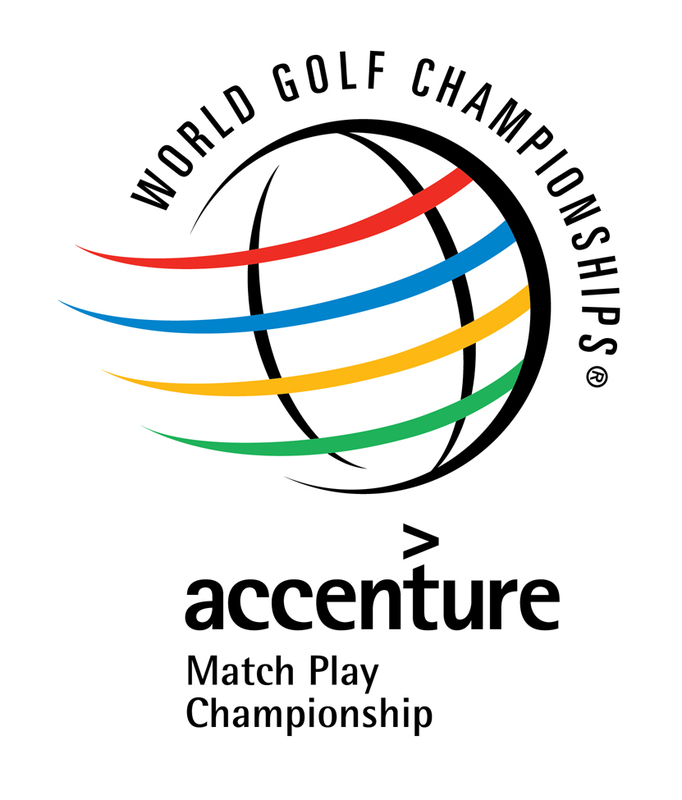 The thing is with match play events, it’s not just about a player’s form, or how the course is set up. It’s about knowing the player inside out and whether you can truly tell yourself, can they play their best golf under intense pressure over five gruelling days? Take Ian Poulter for instance. He came into this last year having not played for 6 weeks but his temperament and passion for winning was something only 3 other people in the field could match. Someone who knows how to get the job done under pressure will usually outweigh any form the opponent is in. Then we need to look at are they suited to the course? 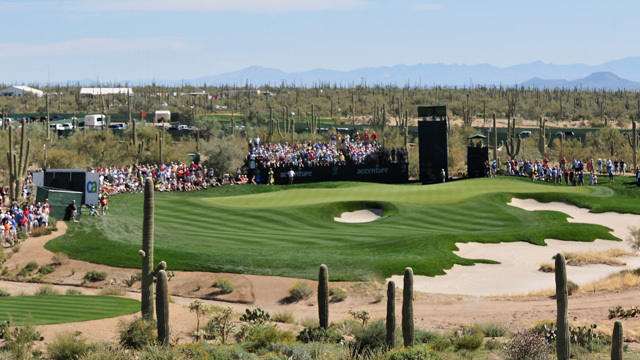 The 5 days will be played at the Ritz-Carlton GC, Dove Mountain in Tucson, Arizona. Looking at the yardage, 7,791 yards, anyone who consistently drives the ball over 300 yards is going to have an advantage, as long as it’s straight that is. The rough will not be Merion-esque, but it will certainly hamper your approach to the greens. So Bubba’s sometimes erratic driving, which went unpunished last week, could be found out here. We’re not saying he can’t win it mind. But it’s in and around the greens where the matches will be won and lost. The amount of times people will have to scramble up and down to win a hole is unprecedented. If your man can’t scramble under pressure, he will not make it past the third round. And then there is the small matter of holing the putts. If you are one for statistics, we have particularly looked at total driving (accounts for accuracy and distance), scrambling, strokes gained-putting, GIR, ball striking, final round scoring average (to see how they perform under pressure) and approaches from 75-100yards (to see how their wedge game is looking). Just to highlight course form importance. All of the previous 4 winners on this course had at least made it to the 3rd round before. 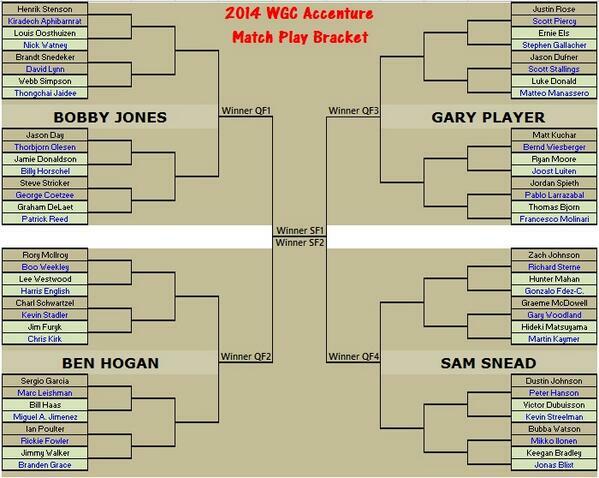 And if you can, check out any previous match-play experience your pick has. Ryder Cup, Volvo World Match Play, President’s Cup, Royal Trophy, Seve Trophy, World Cup and the Walker Cup are all match-play style events. The more experience they have, the better. And don’t forget this is a WGC event which is a step down from a major, so the pressure will be well and truly on. You will also find there is no Tiger, Phil or Scott here this week. Which we feel will make it even more interesting. Play will also start a day earlier on Wednesday to fit in the 5 days. Because of the uniqueness that Matchplay brings and this tournament in particular, we are putting our big stake on a cheeky Lucky 15. Basically we have nit-picked through each bracket (before the revelation of odds came out today) and come to the conclusion of 4 names. The beauty of a Lucky 15 is that all 30 permeations possible are included and e/w money on this can warrant big returns. In the shape that Garcia is in at the moment, it is hard to look anywhere else. The Spaniard comes into this off the back of some tremendous form, the highlight of which was his victory at the Commercial Bank Qatar Masters a few weeks ago. 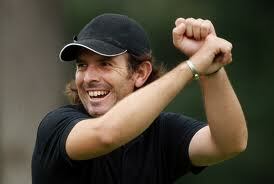 One thing that has always been aimed at Garcia is his ability in and around the greens but he is red hot at the moment. His chipping and putting has never been better. Combine that with his superb iron-play and there is a mean prospect for match play. 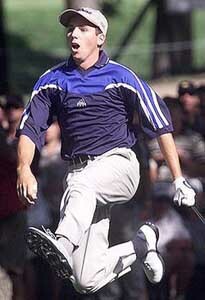 He has also been part of 4 winning Ryder Cup teams. The draw was the final straw for us in choosing Garcia. We can only really see Ian Poulter challenging him from bottom half of the Ben Hogan bracket and then we feel it will be a shootout in the bracket final with Rory McIlroy. If he gets past that his confidence will be soaring and he might be able to bag his first WGC title. It is quite incredible someone of Sergio’s standing has not won a big trophy of some sort. Well now is the time. 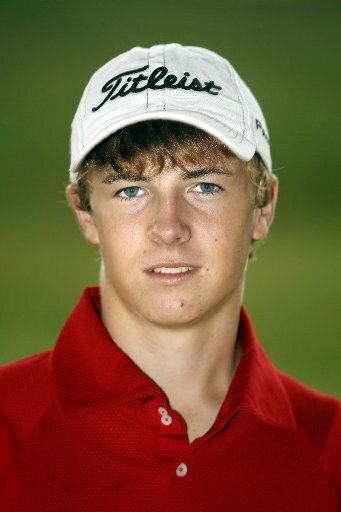 He also did get to the play-off here in 2010, so he knows the course well. Making Jordan Spieth the Gary Player bracket favourite shows not only what a player he is but also what kind of form he is in. The past couple of weeks in truth have promised a lot more, challenging heavily in both tournaments. The terrible conditions a couple of weeks ago at Pebble Beach got the better of him on day 3 whilst it seemed nobody was stopping Bubba Watson winning last week. But even so, he has still played some of the best golf on the tour. Now this is his first time at the WGC Match Play and we know it is something he will relish. Spieth if you didn’t know wears his heart on his sleeve and has copious amounts of passion, sometimes too much! But it is this winning mentality that will give him the edge over others this week, not to mention the youthful exuberance the 20 year old possesses. As an amateur he took part in the 2011 Walker Cup and won both of his singles matches whilst he took part in the 2013 Presidents Cup where he won 2 out of his first 4 matches. Not bad for a first timer. That match play experience will prove vital this week. His draw is of course tough but we feel his biggest obstacle will be Matt Kuchar. And the 2013 Champion missed his first cut in a long time last week so he could be there for the taking! And don’t worry about whether he has all the tools for this course, he does everything. Jason Day is one of the most consistent performers on tour, which is an incredible advantage when it comes to 5 days of matchplay golf. He rarely wins however and this is something that we can see changing this year – and on a big scale. A WGC event is a milestone for any top pro and Day has all the attributes to attack this course in a format that he is comfortable with and has all the fiery passion that is needed. Firstly, he has never lost in the first round here, reaching the Semi-Finals in 2013, losing to Hunter Mahan but beating Zach Johnson, Bubba Watson, Graeme McDowell and Russell Henley in the meantime. That is no easy feat. In the 2013 Presidents Cup, he showed incredible character and determination after losing 4 and 3 to Phil Mickelson and Keegan Bradley alongside Graham DeLaet, by halving the return match and beating Steve Stricker and Spieth. He then went on to a crushing 6 and 4 victory against Brandt Snedeker in the singles, which shows his mental capacity is at its highest in matchplay. He is one of the longer hitters on tour (52nd), an incredible iron player (14th GIR) and 25th in scoring average – all of which can effect the mindset of his opponents. He also lies 15th in final round scoring average which is an interesting stat considering that Sundays are usually the day when the pressure is on the most. All in all, Jason needs to prove to the world he is part of that top elite by winning big tournaments and his record in majors is unbelievable (6 top 10s in 12 appearances), so we know he has the ability. This could finally be his Day. 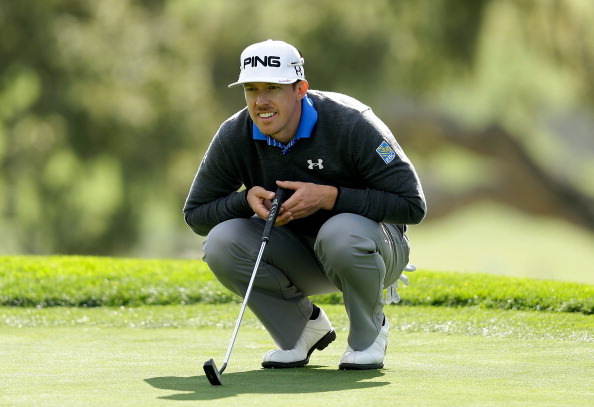 Hunter Mahan is without doubt one of the leading golfers in the world and at the end of the day, this sort of tournament usually warrants a top player to win it. He has an unbelievable record here – 2nd last year, winning in 2012 and reaching the R16 the year before. He is coming into the tournament with a bit of form as well, although finishing T52 last week, he had two top 10s beforehand and when his game is in rhythm he can be very dangerous, especially in a matchplay format. He has won his last 3 singles matches in the Presidents Cup and lost just 2 out of his 8 Ryder Cup ties – the perfect pedigree. In terms of stats, he is 5th in total driving, 38th GIR 200, 4th strokes gained putting and 18th going for the green – all of which add up to a perfect matchplay guru. Come on Hunter. We will also be entertaining ourselves in two accumulators for the first day and then COME BACK for our daily accumulators, which we will update on the blog. Ian Poulter, Bubba Watson, Keegan Bradley, Jordan Spieth, Dustin Johnson, Jason Day, Matt Kuchar, Ryan Moore, Charl Schwartzel, Jim Furyk,. Graeme McDowell, Brandt Snedeker, Jason Dufner, Rory McIlroy, Harris English, Zach Johnson, Hunter Mahan, Henrik Stenson, Justin Rose and Ernie Els. Bubba Watson, Dustin Johnson, Jason Day, Matt Kuchar, Ryan Moore, Brandt Snedeker, Rory McIlroy, Hunter Mahan, Henrik Stenson, Keegan Bradley and Jordan Spieth. We’re really moving from strength to strength at DownThe18th, with George Coetzee giving us our second consecutive win on the European Tour. So confidence is high and we don’t see why we can’t continue our good run this week. 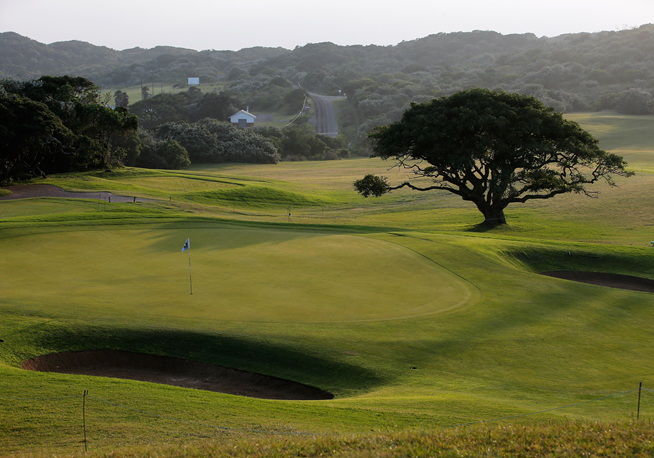 The tour stays in South Africa and we move to the East London Golf Club right on the Indian Ocean. It is one of those tight, testing tracks that we really love. And being on the coast, conditions could get very tough. The par 72 is one of the shortest courses on the Tour measuring 6,700 yards. Many of the par 4’s are in fact driveable but taking them on will be at your own risk with the rough expected to be very penal. The course is similar to the Durban CC which hosted the Volvo Golf Champions where Louis Oosthuizen won a few weeks back. Last week in the Joburg Open, putting was key as the greens were particularly slow. And the greens this week are meant to be even slower! So if your pick is not putting well, we can’t see them being in the mix at the weekend. Darren Fichardt putted quite outstandingly on the way to his win here in 2013. Driving Accuracy we feel will be vital as well, particularly when the winds get up on the coastal front nine. The field you will see is not the most mouth-watering, but from a betting perspective it does mean there is value to be had. Thomas Aiken will be someone who many people fancy this week but for the odds he is at (10/1) we just feel that is too low especially after his final round on Sunday. But we have found some names we are very confident in. We can’t deny that big Dave is one of our favourite golfers, although we do tend to say that every week. But seriously, you put Horsey on a tight, coastal course and he will be in golfing heaven. His iron play is a thing of beauty, rarely misses a fairway off the tee and is solid on the greens too. It is usually this stretch of the year that the Englishman enjoys, with him having three consecutive top 10’s in March 2013 all on tracks similar to this week’s. We particularly enjoyed his display at the Trophee Hassan II where he finished T2. But is he playing well now? Horsey ranked 1st in driving accuracy over the final two days last week and was also 6th and 3rd in putts per round for those days. 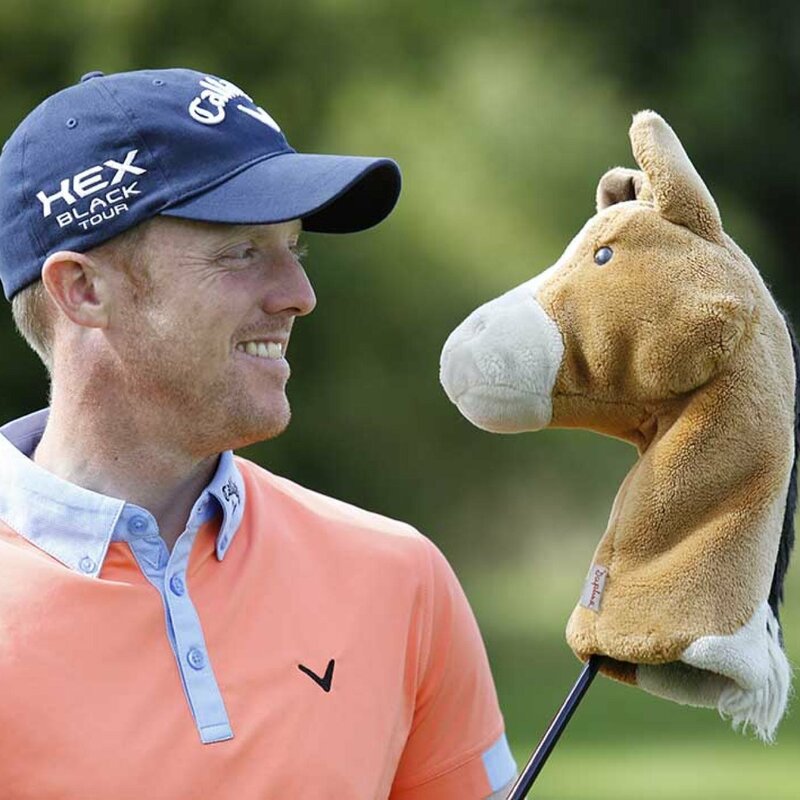 You need to trust us when we say if Horsey is finding fairways, he is a big threat. It was his 2nd round of 63 last week that particularly highlighted to us Dave is playing some seriously good golf. He hasn’t played this tournament before which is why he is at relatively high odds, but we have faith in the Englishman, we really do. Whenever the tour moves to South Africa Jaco is always someone that performs consistently and catches our eye. Now any lower than this and Van Zyl does start to enter unbackable territory. We managed to get on him at 22’s Monday morning which we feel is quite good value. Jaco has done everything but win here over the last three years finishing 4th, 4th and then 2nd last year. Fichardt’s superior putting was enough to take it. 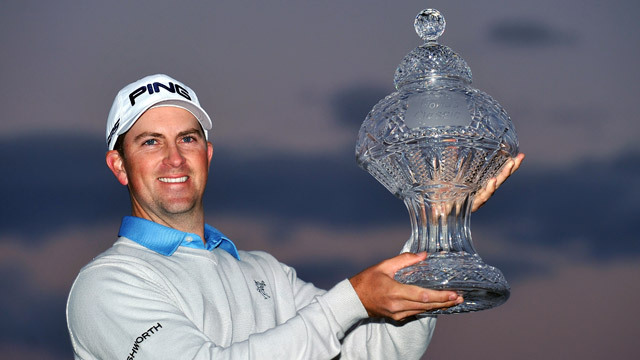 But Van Zyl has 13 titles on the Sunshine Tour in South Africa, he knows how to get the job done when in position. He ranked in the top 5 over the whole tournament in driving accuracy and was steady in the putting stats at the Joburg. He will know the greens this week intimately, so there is no reason why the putter can’t get hot. A player who we followed right from his early days on the Challenge Tour and is now one of the hottest prospects out there. All you need to know is that he has a passion for coastal courses and can plot his way around the most difficult of tracks. After his maiden win on the Tour in November last year, at the South African Open, Madsen slipped off the radar barring a 13th place at the Volvo Golf Champions. But last time out at the Omega Dubai Desert Classic he was back playing some solid stuff and also ranked in the top 10 for putts per round over the final two days. This was on a track not particularly suited to Madsen, but the East London GC certainly will be. Another thing heavily in the Dane’s favour is the fact he will be one of the longest off the tee in the field. The driveable par 4s will be somewhere Madsen will have eagle chances that is for sure. For a recent champion, this is a very solid bet. We actually managed to get the Scot at 150/1 early doors which we felt was tremendous value. He is someone who we didn’t know a great deal about but certainly caught our eye last week. He actually held the lead on day 3 for a short period but gradually dropped off and had a disappointing fourth round. That will be why he finds himself at the odds he is. But statistically he was very impressive, he ranked 1st in putts per round over the first three days. And he even ranked 7th, despite being +4, on the final day. 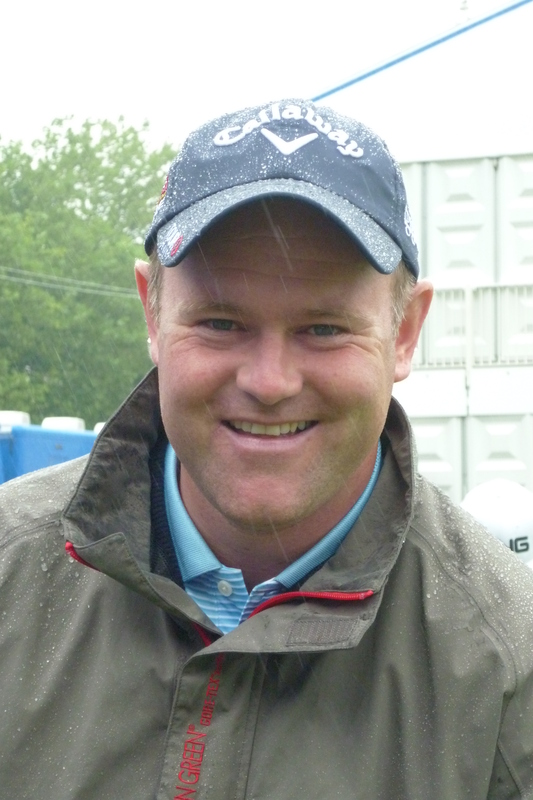 His ironplay gradually slipped away on the final day but coming to a course this week where he recorded a 5th in 2012 he should be feeling very confident. We don’t feel there will be many better picks out there at three figure odds. We never thought we would be backing Kakko two weeks on the spin but he did enough for us last week to suggest he can go again. After his second round 64 the Fin was right in the mixer until the final day and was unlucky not to grab us a place. As we mentioned earlier, putting is absolutely vital this week and arguably Kakko was the best in the field last week. On the final day he was 2nd putts per GIR and 1st putts per round. He was 4th and 2nd in the respective categories the round before as well. When someone putts as well as Kakko is, you can’t see him not being up there once again. Just a cheeky local to throw at you. He’s at these odds because he hasn’t done a lot in his career but last week he showed us a game that could do really well around the East London GC. Over the final three days he was never lower than 4th in driving accuracy and 3rd in putts per GIR (was 1st for days 2 and 3). So he is playing some consistent stuff, just needs to string it together over four days. Not to be confused with Charl Coetzee or last week’s winner George. A fascinating battle ensued last Sunday as Jimmy Walker ended up victorious by only 1 shot after having a 6 shot lead at one point. He was incredibly nervy throughout the final day and the fact he is 18s with many bookmakers is understandable but at the same time laughable. Moving onto this week we are in California for the Northern Trust Open where an unbelievable field has assembled one week before the first WGC event of the year. Many Europeans have taken the plunge to come over in preparation for the Matchplay and it all adds up to a potentially exciting 4 days of golf. 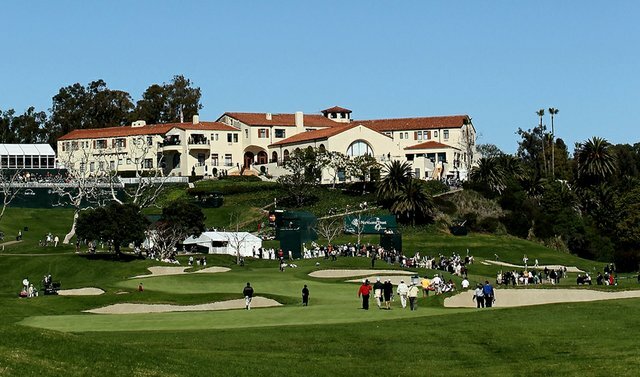 The Riviera Country Club is one of the more prestigious courses on tour and has been host pretty much every year since 1973. A 7,298 yard par 71, it is not one of the longer tracks, but it heralds a keen eye from the fairway, with tee to green specialists and scramblers usually finding their way to the top of leaderboards in years gone by. The plotters and players with course experience will have the upper hand but it is well known that the greens are smaller than average. Therefore, it is imperative to have a cracking iron game, short and longer distance, whilst the scrambling will come into play when the inevitability of missing a green occurs. We must admit that with the strong field, many of the names are in the 20-40s bracket in terms of odds and we have uncharacteristically gone with 3 players at lower odds than we usually would. In some ways we apologise, but at the end of the day we are so sure that these 3 in particular will challenge for the win. We went with Jordan Spieth last week, feeling very confident that the youngster would bring home the victory, but his 3rd round +6 completely ruined his chances. However, the conditions he had to deal with were some of the worst we have ever seen and he was caught up in the thick of it. The –5 he shot on Sunday though, showed his capabilities and we have every right to believe that he would have won had those conditions not played such a significant part. His tee to green abilities were outstanding again and he is putting with such maturity for someone of his age at the moment. What was really interesting though, is that he lead the stats for scrambling during the week and that could be a key part to his game at Riviera. He is obviously one of the form players and we are looking past that one appearance here 2 years ago which resulted in a missed cut for 2 reasons – his game is beyond a perfect fit for the course and at least he has a couple of rounds behind him on what is quite a tough track. The fiercest eyes in golf. 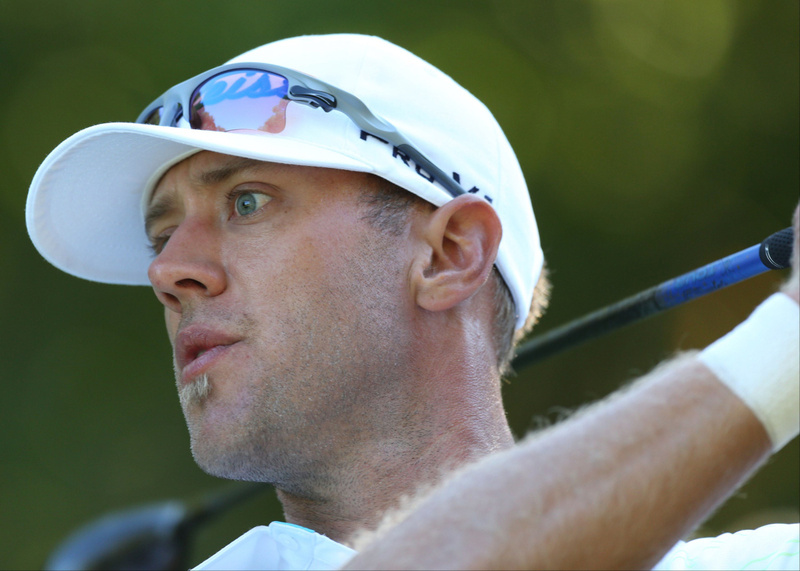 We did manage to get Graham DeLaet at 25s before his prices have dropped across the board, which shows he is someone that many punters are looking at this week and for good reason too. He is another player in sublime form at the moment, continuing his impressive displays from the back end of last season. It does not feel all that long ago when we were backing the Canadian at 50/60s! Four top 10s in a row is impeccably consistent golf and his last two outings resulted in two T2. He finished 1 shot off at the Farmers Insurance, whilst a sublime –6 final day performance at the Waste Management meant he finished 1 behind once again. Usually we would be worried about someone not being able to get the job done, but in these 2 tournaments we cannot really give him our classic tag of ‘bottlejob’. His tee to green abilities are up there with anyone, he finds greens for fun and is a solid scrambler – 6th GIR, 59th scrambling. There are quite a few left to right doglegs on this course as well, so when you realise he is 10th for right tendency off the tee, you do get really excited about his prospects. He has played here the past 2 years, not showing the most impressive form, but just like Spieth, at least he has some experience round here. How could you not trust your money on a man with a bald nut like that? 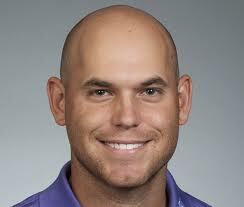 The last of our 3-amigos this week comes in the wonderful baldy form of Bill Haas. As soon as we saw his name pop up on the entry list, there was no way we couldn’t not go with him. He is the epitome of the golfing cliché ‘plotter’ and he is coming onto a course where has enjoyed a rich history. T3 last year, when he probably should have won but he shot a poor 73 final round to finish 1 behind. 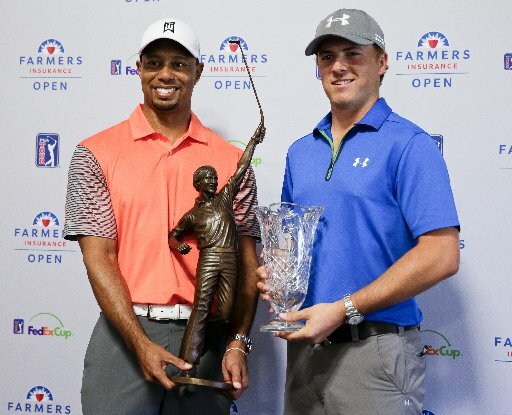 And in 2012 he beat the illustrious duo of Phil Mickelson and Keegan Bradley in a playoff to claim the win after a consistent 4 days of golf. Basically, he loves these sorts of courses and when you look at the stats, it is backed up even more – 23rd GIR, 44th scrambling and 30th right tendency. The perfect trio of stats. He hasn’t been particularly spectacular this season by any means, but a T6 at the Humana Challenge showed his form is nearly there, especially because he finished at –23 and he is definitely not known for that sort of scoring. We really do feel Haas can manage his way round the course and as long as his putting is half as good as it was at the Humana, then he will be challenging the leaders. Oh Charles Howell. Oh how we have struggled with the enigma that is Charles Howell III. He has cost us before in the past and we have backed him at times during his purple patches for tournaments he is perfect for, yet he goes on to forget how to play golf. So why this week? Like we have said many times in the past, there was no way we couldn’t. He is in fine form and has started the season superbly, with 5 top 10s out of his 9 starts. That is good going no matter who you are. His last round was a faultless 65 at the Waste Management, where he ended up finishing T6 and that should give him plenty of confidence going into a tournament he enjoys. He won here by beating Mickelson in a playoff back in 2007 and that ladies and gentleman was the last time we saw Howell with a trophy. Would it not be perfect symmetry to see him win here 7 years later, during a sustained period of form that we have rarely seen from him?! Added with the fact he is a classic tee to green, iron specialist (11th GIR), an accomplished scrambler (5th scrambling) and often finds the right of fairways (46th), then you can really see that poetic symmetry already. We have decided to go with Victor Dubuisson because of his encouraging price and although he hasn’t played here before, he did get a taste for PGA action last week, where he finished a respectable T13. We have seen the Frenchman extensively on the European Tour and when he is in his full flow, he is a sublime iron player (12th on tour last year), averages nearly 300 yards off the tee (20th driving distance) and is well known for taking his opportunities when he makes them (9th Putts per GIR). He is obviously in America acclimatising for the WGC next week and if he impresses again than his profile will certainly be on a new level. We have every faith that Dubuisson will be a PGA Tour regular at some point in his career because when we have seen him playing well, he genuinely is a unique talent. A cheeky added extra this week with Brian Davis, because his odds were too tempting to ignore. It is a course we has finished T3 at before in 2005 and he produced a solid display last week (T13), so he will be coming here with a bit of form. He was actually T1 with Mickelson in GIR for the week, so his irons are in top shape and he is 11th for tendency so this is somewhere where his consistent tee to green abilities could prove interesting. The Middle-Eastern swing is over and the European Tour now moves to South Africa for a run of 3 tournaments (with the WGC Matchplay in between) to compliment the 5 events that have already taken place in the country. The Joburg Open is one of the more respected competitions in South Africa, with it being held at the esteemed Royal Johannesburg & Kensington Golf Club on the outskirts of the city. The first 2 days of play are alternated between the East and West courses, with both warranting a lengthy drive and accurate iron play in order to post a decent score. The weekend will then shift permanently onto the East Course, the harder of the two, which stands at a whopping 7,658 yards. The par 3 2nd measures at 253 yards, which could be a driver for the shorter hitters! Although, we must say that it is not all about the power strikers, because it will be vital to find the greens, as the scrambling in and around will be difficult. Plus the likes of Richard Sterne and Zaco Van Zyl have great records here and they are not the longest off the tee. In terms of betting, there is obvious favouritism towards the talented South Africans – Charl Schwartzel and George Coetzee, so we have tried to find some value in what is a very difficult tournament to predict. 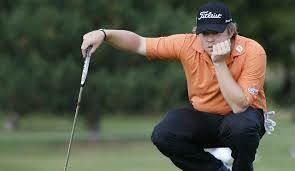 He isn’t bored, he is just lining up a putt. Concentration. Now, we know that Coetzee is at very low odds and on many occasions we would not go near him, but at the end of the day, he was too much of a quality player who should do very well on this course and couldn’t be missed. His worst finish on this course in his last 4 appearances is T14, so he knows the track inside out and when you think how well he has been playing in recent weeks, it becomes a no-brainer that you should back him. T5 in Qatar a couple of weeks ago after a T4 in Abu Dhabi, prove his cracking start to the year and when we’ve seen him, we can’t help but be impressed by his driving abilities – 53rd in driving distance, but even more so by how well he is putting – 1st in putts per round. He is a home favourite who has often played well in South Africa and after his impressive Middle Eastern swing, there is no reason he shouldn’t do well when the crowd will heavily be on his side. We have obviously gone outright on him this week because of his low odds, but if Schwartzel doesn’t walk away with it, then Coetzee will definitely be challenging come the weekend. Thomas Aiken has been on our radar from the very beginning of last season, mainly because of his effortless swing and tee to green abilities. Out of the South African cohort, he is one of the players who drifts under the radar, but when you look at natural talent, he is no different to the bigger names. He has a solid record here, with a T6 last year and T3 in 2011, but we have been more impressed with how he has come to the fore in recent weeks with some impressive performances. He looked particularly solid in Qatar a couple of weeks ago, finishing T5, never being outside the top 11 for GIR throughout the 4 days. And that is what Aiken brings, a solid tee to green game with the ability to attack pins for fun. When you look at his overall stats you sit back in awe – 17th driving accuracy, 61st driving distance and 5th GIR. Those prove the abilities he has to suit this course perfectly and there is no reason he cannot be the home winner come Sunday. Magnus Carlsson is one of an abundance of Swedes with a lot of talent and potential. Yet for some reason or another he has failed to kick on and prove himself on the world stage. He is coming onto a course where he has played well at before though, recording a 2nd place in 2008, losing in a playoff to Sterne. He also finished T17 in 2012 and with his incredible iron play – 3rd for GIR and relatively long hitting – 50th in driving distance, he could challenge the leaders this week. He has been in inconsistent form recently, but a T9 2 weeks ago will certainly give him confidence. Again, being at generous odds we felt it was too good to turn down. Roope Kakko seemed like someone who was great value as an outsider considering his credentials. 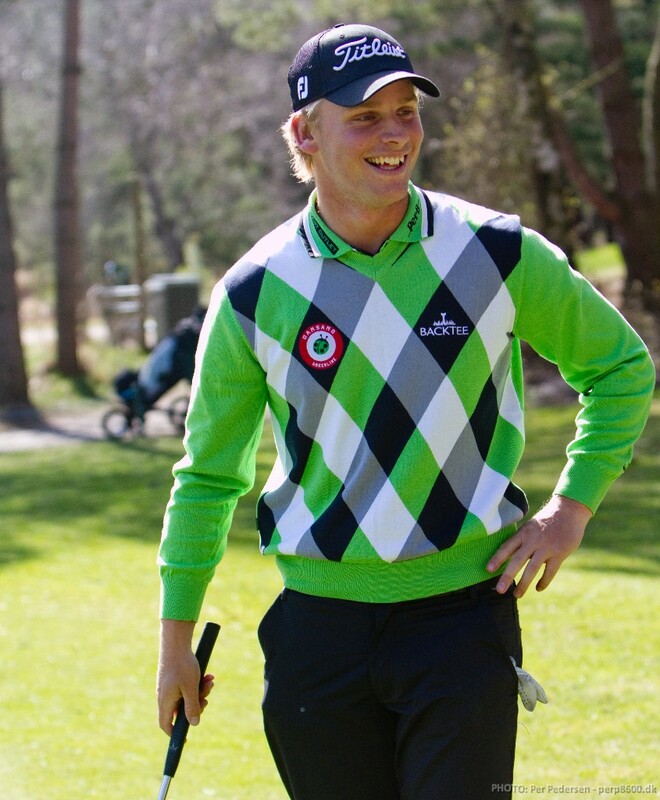 He had a superb year in 2013 on the Challenge Tour, picking up several top 10s and a win in late October. He has now gone onto play in 3 European Tour events, finishing T24, MC and T23 which doesn’t sound particularly impressive but when you think that he is 16th for driving distance and averages over 302 yards, he should find the length of the course easier to deal with. It is unlikely that the Fin will win with some of the quality of the field but he is certainly an interesting outsider that could challenge for a place. A cheeky outsider for you all to consider. Graham Van Der Merwe is certainly not one of the household names who will be teeing up this week but he is a local lad who will be excited to get out and compete on his home course. He has finished relatively well here before, with a T19 last year and a 4th in another tournament held on the same course. At the end of the day, with his odds there is no harm in chucking a few pennies on him! Well it was another painstaking yet profitable week for us at the Phoenix Open with Bubba eventually losing out to the Baby Walrus, Kevin Stadler, on the 18th green. It was our fourth 2nd place in three weeks on the PGA Tour. 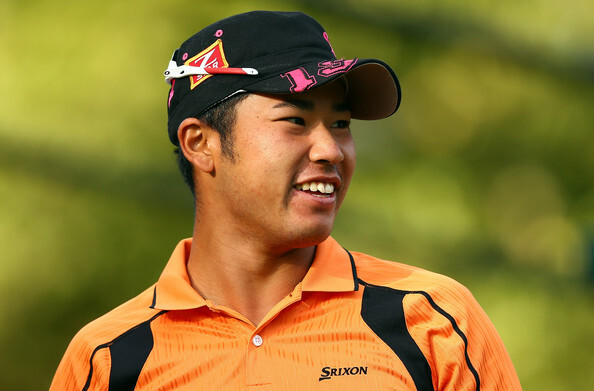 But Watson and Matsuyama both gave us healthy e/w returns as we still await our first win in America this year. 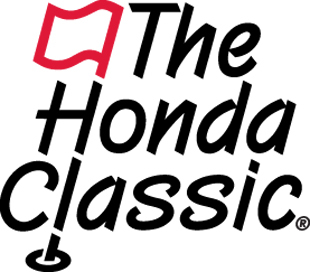 The tournament this week is a fun one and is quite similar to the Humana Challenge where three different courses are used over the first three days. But in terms of course difficulty, it will be a lot harder. The three tracks will be Spyglass Hill (SH), Monterey Peninsula (MP) and of course Pebble Beach (PB). 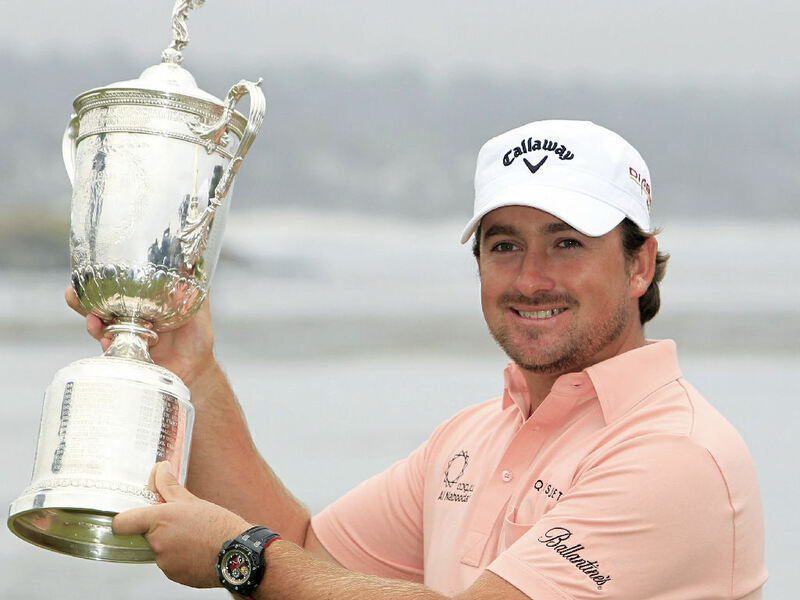 If you didn’t know, Pebble Beach most recently held the 2010 US Open in which Graeme McDowell ran out winner with a score of even par. This outlines the difficulty of the course. Pebble Beach is where two of the four rounds are held. It is a 6,828 yard par 72 and is situated on the coastline. Pin positions are likely to be easier than those found in the US Open but it will be a tough test none the less. Accuracy and GIR will be vital but even more so will be putting. The greens will be small and running quick and it will be where the tournament is won and lost. Monterey Peninsula and Spyglass Hill are also sub-7,000 yards with the latter usually posing the toughest test of all three courses. It will have various hazards and small, elevated greens. If there are consistent birdies to be made, it will have to be on the Monterey course. All types of golfers have done well on these tracks from Dustin Johnson to Luke Donald. The winner will have to be in good form and know how to manipulate his way around a difficult course. Accurate ball-strikers essentially. And quality players too, you will do well to find anyone at high odds taking the title with Snedeker, D.Johnson and Mickelson all winning here in the past 5 years. When you think of a player who fits the term ‘ball-striker’ we think of this man. Mahan is one of the best players in the game yet to win a major and we are sure one or more will come over the next few years. He was someone that we backed in 2013 and he put in a solid performance and was joint first-round leader with Brandt Snedeker. So he knows how to get to the top end of the leaderboard at Pebble Beach. He also finished runner-up to D.A.Points (along with his partner Bill Murray) back in 2011. The course form box is definitely ticked. Even without his performance last week at the Phoenix Open, Mahan would have been firmly in our picks but the fact he finished T4 and 2 shots off Stadler only confirms to us he is the right man. His game looks to be in top shape with him being 8th total driving, 25th GIR% and 27th strokes gained-putting. And let’s not forget he has two top 10’s at the US Open and likewise at The Open. We strongly feel this will be Mahan’s week! An outright bet would be advised. Check out his acting skills, cracking advert. It is safe to say this will not be the first time we back the 20 year old in 2014. He has firmly asserted himself as one of the top, top players in the game. He definitely has an air of Tiger about him with the sheer amount of solid performances he puts in every time he plays. The rookie of 2013 had to play the majority of the courses blind and yet somehow managed to finish 10th in the money list and climb to 22nd in the world. That is some going. But now we see Spieth coming to tournaments which he has played before, and Pebble Beach was the scene of only his 3rd top 25 finish. And it also gave him the foundation to go on and finish T2 and T7 in his next two tournaments. Pebble Beach will be a great memory in Spieth’s mind and with the immensely competitive nature that he possesses, a tournament of this stature will be one he will be gagging to do well at. Following his 2nd place at the Hyundai Tournament of Champions at the start of January he followed most recently with a T19 at the Farmers Insurance Open where he held the lead after 36 holes with a stunning 2nd round of 63. We are confident he will play well here once again and has all the tools for technical courses like these to walk away with victory. Now McDowell has not played in over 2 months but with a consistent swing like his and a US Open victory at Pebble Beach under his belt, 40/1 is good value. It will be his debut at the pro-am and the first time he has returned to the course since his famous major win. And his partner in the pro-am is none other than his dad. So it should be a fun, nostalgic time for the Northern Irishman. Last year saw McDowell claim the RBC Heritage and French Open, both on tracks where accuracy and methodical play was vital. And a similar game will be needed here. Not much else needs to be said about him, he will be confident from the off as he goes down memory lane around Pebble Beach. For a man who has won 3 times on the tour, his name really hasn’t been seen at the top of leaderboards for quite some time. But Pebble Beach is somewhere that has brought the best out of him over the past 3 years with finishes of 4th, 6th and 12th. And this course is one where previous success brings more success. He is yet to contend in a tournament this year but we have seen glimpses of the Australian that suggest he will be bringing his ‘A’ game to Pebble Beach. And he seems to be very hot on the greens this year being 4th in strokes gained-putting which will massive on the tough surfaces this week. He’s also 10th in sand saves. At three figure odds, he is certainly worth a punt. It’s an honour to back the South African, a real favourite of ours back in the day. Despite his age, Pebble Beach still seems to be a place where he plays his best stuff finishing 9th last year and 3rd in 2009. And four weeks ago saw him finish 8th at the Sony Open in Hawaii which shows his game is still on it in 2014. It will take an experienced head like Retief’s to plot his way around the course and being 12th in strokes gained-putting will come in handy too. And we can’t forget his US Open wins in 2001 and 2004. Chuck some spare change on him.